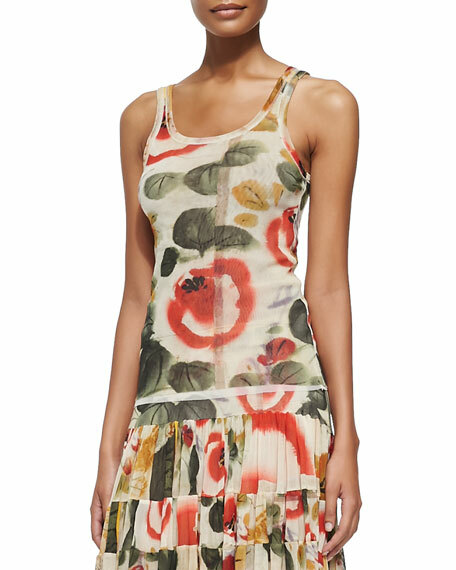 Jean Paul Gaultier printed tulle tank top. Banded neckline and arm holes. 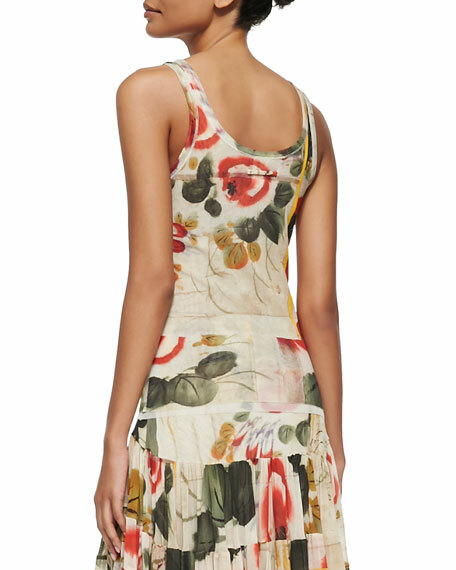 For in-store inquiries, use sku #241702.